New technologies for advanced imaging provide agriculturists with precise data of their crops. Multispectral imaging provides information that the human eye is unable to see by capturing image data of different wavelengths of light. Through multispectral imaging, we are able to capture these spectral bands in order to indicate several agricultural characteristics. In order to do all this, you need the perfect camera. 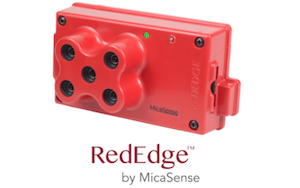 You need the MicaSense RedEdge® camera! The RedEdge® is not your average camera. It is an advanced multispectral camera specifically designed to provide accurate data for agricultural remote sensing applications with drones. Here are 5 simple reasons you should invest in the MicaSense RedEdge® camera for your agriculture endeavors. 1. The RedEdge® simultaneously captures five discrete spectral bands that are optimized for gathering data for customizable applications concerning crop status such as identifying differences in crop development and health within an area of the field. 2. 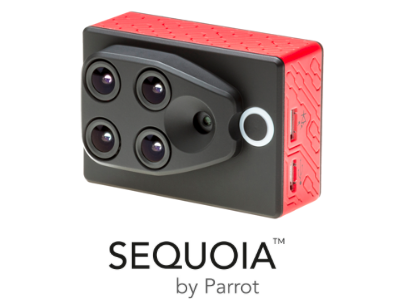 By capturing all five bands at the same time, this camera’s fast capture rate allows faster flight speeds, lower flight altitudes and shorter overall flight time, saving quite a bit of time. The global shutters on the lenses provide clear images at fast speeds. 3. During flight, the RedEdge® images can be seen through a web app which you can access via any device with a web browser. Post flight, the geotagged files are available for extraction from the SD card that comes with the sensor. 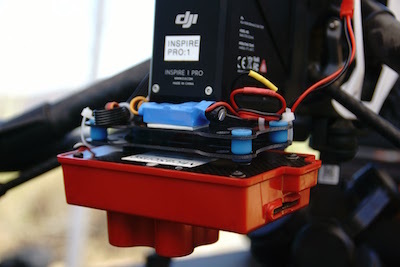 For those who are inclined to integrate the sensor into UAV platforms, the RedEdge® has an open API and has serial and ethernet connectivity. 4. The MicaSense RedEdge® camera is compatible with many UAVs such as the DJI Phantom 3 and Inspire 1 and is also available for manned aircrafts. 5. Ultimately, this one amazing device can take your agriculture to the next level! With the captured data from the RedEdge®, several characteristics about the crops and vegetation can be easily identified in order to improve crop health and development. No need to wait! Purchase your very own MicaSense RedEdge® today!